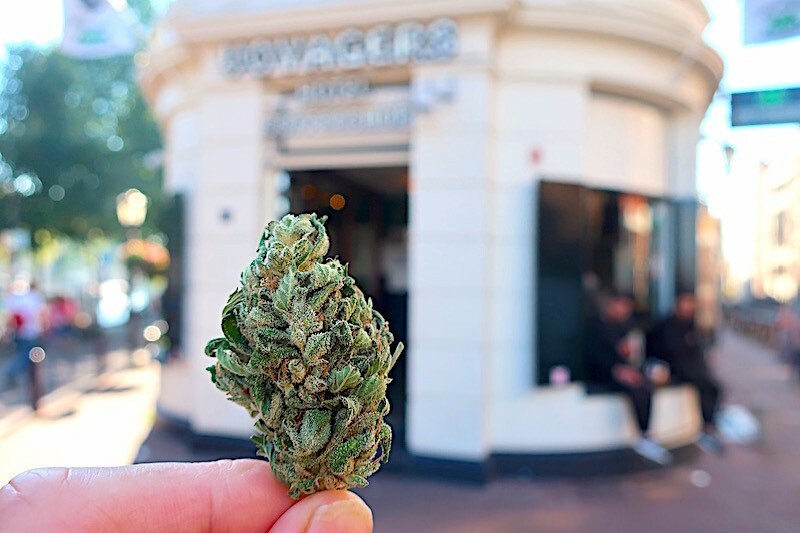 Smoking tobacco will soon be illegal in Amsterdam coffeeshops. Customers will no longer be allowed to light up joints (Wikpedia: a rolled cannabis cigarette) in coffeeshops with tobacco in them. Paul Blokhuis – politician of the Christian Union serving as Dutch state secretary for Health, Welfare & Sports – has formed an agreement on this together with the participants in the so-called National Prevention Agreement. Participants include companies, civil society organisations and governments all working together to reduce unhealthy behaviour. 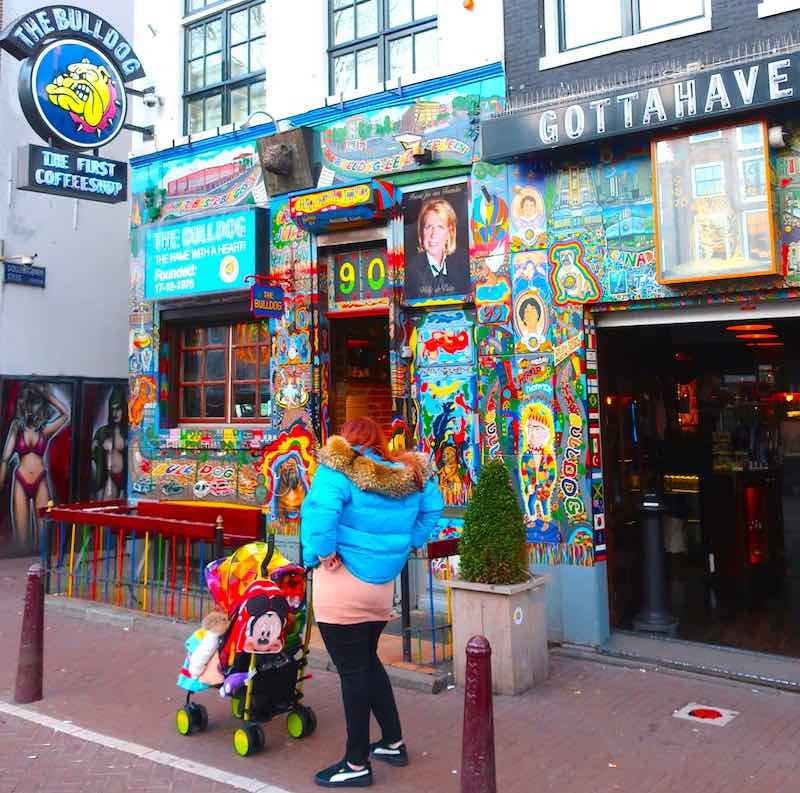 Blokhuis wants to be consistent and doesn’t want to exclude coffeeshops from the smoking ban that applies to the Dutch hospitality industry and other public places. Amsterdam’s newspaper Parool on 21 November 2018: Tobacco smoke will also be banned in coffeeshops. Dutch news channel RTL Nieuws: Lighting a joint in a coffeeshop not allowed anymore. 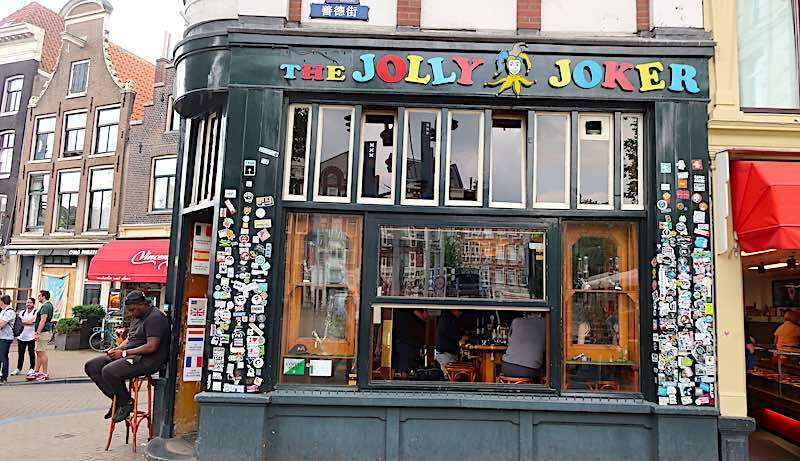 Cannabis coffeeshop The Jolly Joker in Amsterdam’s Red Light District. Whoever wants to smoke joints in coffeeshops that contain tobacco must smoke outside or take them home. A joint with a spice/herbal mixture will still be allowed, confirm insiders. Source: Dutch national newspaper AD. 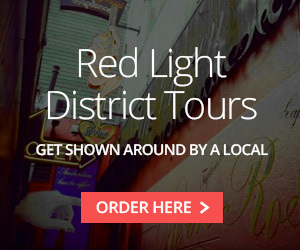 Coffeeshops Voyagers in Amsterdam’s Red Light District. The National Prevention Agreement contains several plans to improve the health of the people in the Netherlands. Plans against for instance; overweight and excessive alcohol consumption. The agreement also states that tobacco shops will no longer be permitted to advertise by 2021 and that their smoking products can no longer be visible. These are shops such as Primera and special cigarette sales outlets in supermarkets. 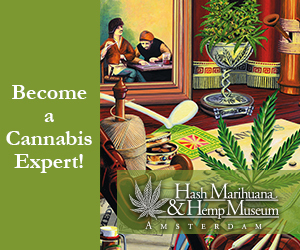 An exception will probably be made for real super specialty stores such as cigar shops and pipe tobacco vendors. For them, the advertising ban and a ban on showcasing their products could mean bankruptcy. According to Dutch newspaper De Telegraaf, more facts on the Prevention Agreement will be presented on Friday November 23rd, 2018. 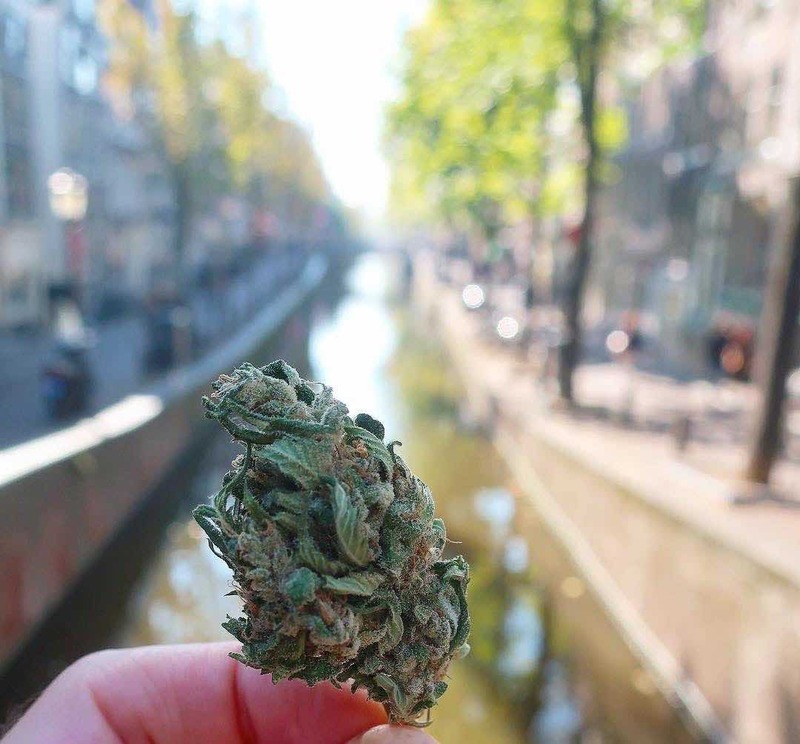 Amsterdam’s Red Light District canal with some grass. The Dutch Cabinet previously wanted to ban smoking in cafes within two years with the removal of special smoking rooms from the hospitality industry and regular offices. The Dutch hospitality industry argued for a longer run-off period. According to the newspaper, the complete smoking ban in the hospitality industry will definitively be in force in July 2022. The price of cigarettes will also gradually rise in the coming years, to 10 euros per pack in 2023. However, the Dutch government will first investigate whether this will not lead to more cigarettes being imported from abroad. To prevent this, the Ministry wants to make price agreements with neighboring countries. Basically it pushes more and more cigarette smokers outside so non smokers still have to breathe their poison and watch them litter their cigarette butts wherever they please. Smokers are selfish. Restaurants need to offer non smoking sections on their terraces. Make smoking as antisocial as possible.